Looking for the best wood planer? The best brand of planer for a specific woodcraft depends on many factors. When you buy a planer there are several things you will want to think about before you make your purchase. Be it Delta Power tools, Ryobi, Steel City tools, Bosch tools, Makita and even Dewalt tools, your ideal planer should have great flexibility and adjustments. Thus, in choosing the best brand of wood planer, you need to consider several features, your desired specifications and qualities, and the type of planer appropriate based on work specificity as well as manufacturer’s guides. When considering the qualities of your wood planer, care must be taken to consider self-indexing knives, gauges and stops, dust collection, power, motor space, thickness as well as width stroke count. One of the major challenges when using carpentry tools lies not only in employing appropriate techniques, but also in purchasing and using the best tool available. And this is especial true then choosing tools that will shape your project in the early stages. The success of many wood craft projects lies in buying a suitable and reliable wood planer. And determining what type of wood planer to use can pose some challenges. This is because different woodworking projects and specific needs will require differing types of planing tools. Examining the kind of woodworking that will be carried out and considering the type and condition of the wood is very essential to the efficiency of the planer you employ. This is the basis for considering certain factors when purchasing a wood planer. Whether your work revolves around deck-building, patio furniture, garage and roof work or even repair or replacement of doors and kitchen cabinets, they may all have slightly different requirements and setup. Various planers exist to perform differing functions. The broad classification of planers includes the hand plane and electric power planer. The former is basically designed for smaller work-types and often requires exertion of physical effort to make use of the blade. Several hand planes include the jack plane, pocket plane and block plane. Check out Efficient Use Of The Wood Planer for more information on the different types of hand planes and their specific uses. On the other hand, the electric power planer can be more efficient, fast, and recommended for heavy tasks. Purchasing this type of planer requires consideration of certain factors related to the quantity of power, cutting depth, and how it handles chip displacement. Generally the more powerful the motor, the more accurate and efficient the electric planer can be. 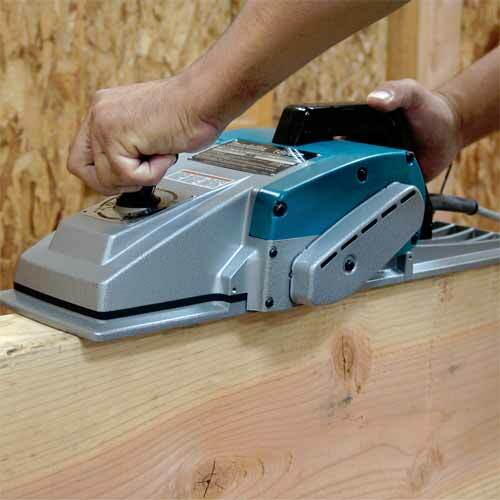 Most indoor woodworkers who desire a power planer often times opt for a 5- or 6-amp machine. But if you are in need of large deck, garage or home addition, your power needs may be greater. Cutting depth of the planer translates to the amount of wood the blade will cut out in a single pass. Carbide blades are often recommended since it’s more durable than HSS especially for general heavy-duty use (and the occasional staple, very bad.) While cutting depth is a very important important factor, consideration should be paid to bed width as well. Planer bed width defines the maximum possible width of the lumber that can be processed as well as bed flatness since this is a major determinant of smooth work. All wood planers have the same basic tools for changing the blade as well as a guide /fence which you must evaluate carefully prior to purchasing. The longer and larger the fence, the better control it offers. Multiple angled guides, cutterheads, dust control add-ons, jointing adapters and rabbeting are all essential considerations as well. Rather than suggest a specific brand I will leave it to you to determine which of these things is the best fit for your specific uses. The longer the cord, obviously the better reach you will have in your shop. But conversely, if you have to put the tool away or pack it in a work truck often, you will have to coil or wind up that long cord each time. Makita is adjudged the frontrunner with cords, but then, this is just the opinion of some carpenters. For maximum efficiency and versatility, you need to buy a machine that offers options for either left or right chip direction. This determines either dust bag or hose location depending on the job. But where you have no plan to use dust hose or bag, a good choice is a model with a chip chute which you can slant away from you. Varying types of planers are offered at different rates depending on manufacturer as well as quality of the equipment. Affordability and versatility of a planer is recommended for consideration in this regard. Affordability includes complete installation cost and maintenance cost in the case of electric planers. If you have no constant access to electricity, opt out of the electric planer. Importantly, if your intention is to use the tool regularly you should not buy the cheapest machine because it may translate into higher cost in the long run. (You may have to buy it again). I recommended that you not go for a planer that’s very complex if you do not need the features; rather make a choice of efficiency and something which is adaptable in varying environments. Efficiency means that the planer you want to buy will perform the required task within the frame of time. It equally means that the final product should still be top-notch. But you do not need advanced guides and add-ons if you do not do the types of projects that require them. Versatility and ease perhaps will be the reason most people choose an electric planer over hand planer. 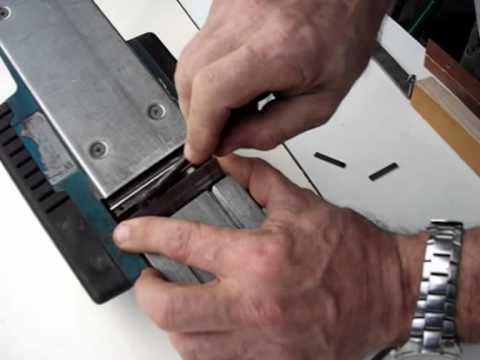 But there are far more logical reasons for choosing electric planer over hand planer. And in some cases Grandma’s old block plane may be just the right tool for the job. If you opt for a power, you must not forget that they have exposed cutter running at high speed. You must be wary of this exposed danger. Make sure you allow the cutter to reach full speed before you commence cutting; engage smoothly with two hands. Keep your work area free of any obstacle; be mindful of the location of the cord. Not only can a caught cord cause you to make divots in your work, it can also (and very often does) cause you to lose focus on what you’re doing and forget where that blade is. For a sober reminder of what happens when you don’t pay attention visit our terms and conditions page or check out some horror stories on our Shop Talk page. With these aforementioned tips for purchasing a reliable wood planer, remember to attach your machine’s dust-collector hose or collector bag during use. If you are using an attached gad, keep in mind that you need to empty it often to avoid the bags getting filled unexpectedly. Before you make the final purchase, you need to consider the location of the nearest parts dealer, service points, manufacturer’s features and offered warranty. If you can service your tools on your own obviously you can just order online, but a good factory dealer is often great help in keeping your tools running like new. Though I have my preferences, all of the models shown below are well constructed and I have seen all of them used from time to time, and have used many of them on my own jobs. Over the years Makita, Dewalt, Porter Cable, Bosch, and Ryobi have all held up. 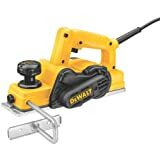 Of them all, I could not pick a best but I would not buy the Ryobi, only because my tools get allot of use. In the past Ryobi has been more of a home handyman tool, so if you don’t think you will use it allot then saving the money may be the route you want to go. You may already know that Makita and Dewalt have loyal followings. But I have several Bosch tools as well and I love them. Porter Cable too is a good brand and I own a few of them too. You really cannot choose poorly among these brands so consider your needs and pick the one that fits you best.